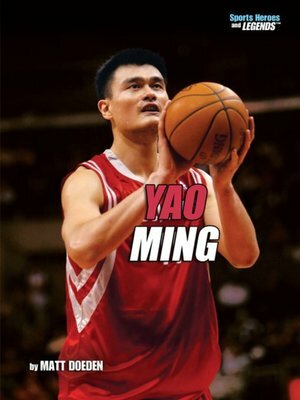 Yao Ming is a force on the basketball court. The center, born in Shanghai, China, towers over opponents at 7-foot-6. His strength, agility, and hard work have made him one of the most dominant big men in the NBA today. After leading his Chinese team to a championship in 2002, Yao was the top pick of the NBA draft by the Houston Rockets. His arrival in the United States has helped to break down cultural barriers and has made Yao one of the most recognized athletes in the world.